This year's list continues to highlight the importance of the cloud and subscription-based delivery models for ERP and accounting software. Scott also points out some interesting trends around VAR mergers and acquisition as well as the increasing role accounting firms have come to play in the cloud VAR space. 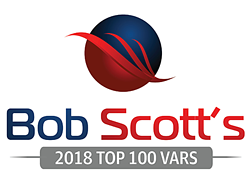 "We're very pleased and honored to be mentioned in Bob's list of top VARS for a third year running," says AcctTwo CEO and Founder Marcus Wagner. "I couldn't be more proud to be a part of this organization." "AcctTwo is obsessed with the success of our customers, from the sales process through implementation and support," Wagner continued. "I attribute our growth to that focus on customer success, as well as to the tremendous support we receive from the entire leadership team at Sage Intacct." 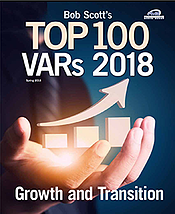 The Top 100 VAR selection is based on annual revenue generated by each reseller. A special report that includes names of the organizations selected for this year’s Top 100 list, ranked by revenue, is downloadable at http://www.bobscottsinsights.com. Scott has covered this market for nearly 27 years through print and electronic publications, first as technology editor of Accounting Today and then as the Editor of Accounting Technology from 1997 through 2009. He has covered the traditional tax and accounting profession during the same time and has continued to address that market.